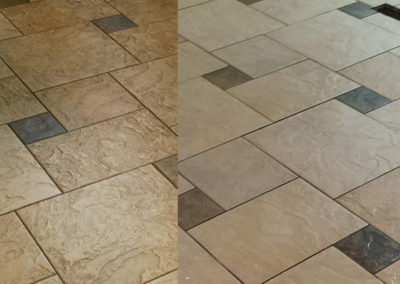 Prolong the life of your tile floors with professional cleaning. Just as your carpets need care to continue looking good throughout its life, your tile floors do, too! We power-wash the floor with boiling water and our eco-friendly cleaning solution, extracting the dirty water to a mounted tank. You can see the results!